Radcliffe is a typeface family designed in 2018 by Cosimo Lorenzo Pancini and Andrea Tartarelli, as a reinvention of traditional clarendon design in search of a "contemporary classic" typeface look. Tailor made for elegance, Radcliffe features the strong bracketed serifs, vertical stress, and little contrast of clarendons, refined with a humanist touch and a calligraphic approach, obvious in the italics. Primarily intended as a display typeface with a wide range of finely-tuned weights for editorial and logo-design uses, Radcliffe has been complemented by Radcliffe Text, developed in five weights with a taller x-height and slightly condensed proportions, allowing for maximum readablity in long texts on the web and at small size. The family also includes the two funky weights of Radcliffe Casual, designed with a slight reverse contrast aesthetics, perfect for your Country Club activities. All Radcliffe fonts include full open type features with stylistic alternates, discretionary ligatures, positional number forms, swash forms (in italics) and full language coverage fo +70 languages using latin and cyrillic alphabets. Copyright (c) 2018 by Studio Kmzero. All rights reserved. 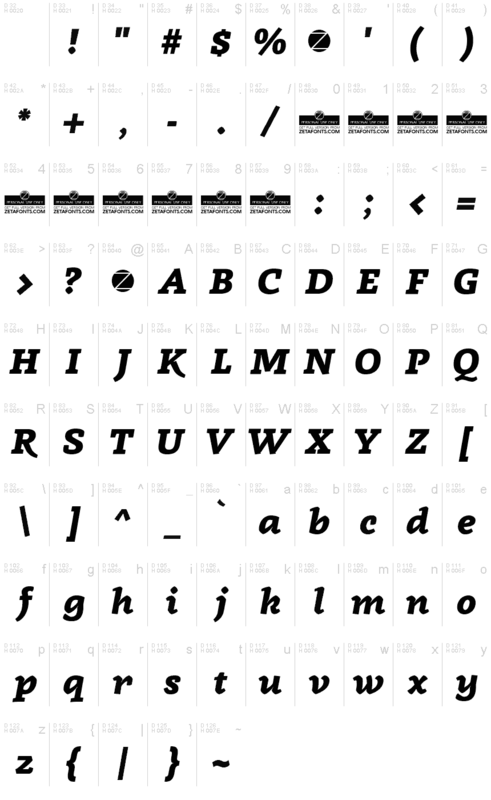 Radcliffe Display ExtraBold Italic is a trademark of Studio Kmzero. Copyright 2016 by . All rights reserved.